are several barrows of the Middle Bronze Age (before 1,200 BC). Three kilograms of pottery were recovered from one of them. 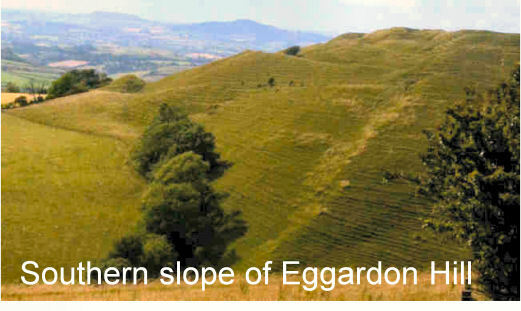 There is pre-medieval archaeology scattered across the Parish but Eggardon Hill and its southern slopes feature most frequently. For instance, a hoard of seven bronze age axes were found S.W. of Eggardon Hill. They had never been used with unsharpened cutting edges and so appear to be a merchant's hoard. Six of these axes are in Dorset County Museum (DCM) and the seventh is in Bridport museum.